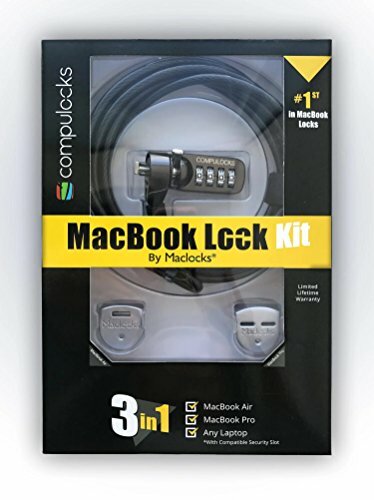 Protect your investment with the Maclocks 3 in 1 MacBook Air/Pro Ledge Kit. The Ledge Lock Slot Adapter is the world's smallest, most revolutionary security cable lock adapter for MacBook Air and MacBook Pro. With a simple turn of a screw your MacBook will have a compatible cable lock slot that will work with our security cable locks. The proprietary design does not require any adhesive or alteration to the body of the MacBook Pro and does not affect any functionality of the MacBook. The slim design of this extremely secure lock slot adapter integrates seamlessly with MacBook’s minimalist appeal, and is ultra-lightweight at less than 0.1lb so it adds minimal bulk and allowing for the MacBook to fit in a sleeve or bag. If you have any questions about this product by Compulocks, contact us by completing and submitting the form below. If you are looking for a specif part number, please include it with your message.